Gwen has been a quiet but resilient leader at Delta School’s Queer Straight Alliance for the past two years. She has demonstrated remarkable strength and determination while struggling with her gender identity as a trans woman and losing her mother in 2015. Despite these struggles, she has finished her High School credits a semester early and enrolled in Cabrillo classes. Rather than graduate early, Gwen has remained at Delta to support the QSA where she currently acts as club treasurer, a position that didn’t exist until she insisted. They proved how necessary the position was, keeping track of reimbursements, donations and club expenses. They have attended both YES conferences and works hard to attend events despite transportation limitations. Gwen, though shy, is an important leader at the Delta QSA. Hailey is a student at Scotts Valley High and her school’s SAGA president. She always brings a positive and collaborative approach to change both locally and nationally. For the past two years she’s presented at the YES conference as well as at the county-level summit meetings, and this year she represented her county at the Creating Change conference in Philadelphia. 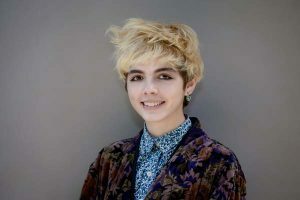 She has worked with the administration to provide input from students about gender-neutral bathrooms and created lessons on LGBTQ slurs and bullying to incorporate into health class curriculum. She has organized club events and done successful outreach at local middle schools to ensure incoming 9th graders know about SAGA. She handles these pressures with dignity, grace and a positive attitude while remaining a 4.0 GPA student. Isa, a senior at Watsonville High is the President of the Sexuality and Gender Acceptance club and the top of her class. She consistently exercises her leadership skills by running meetings and organizing local and national events such as National Day of Silence and Coming Out Day. After conquering her internal struggles as a Xicana from a relatively conservative community, Isa has found her voice and is determined to make a difference for young people forced to hide their identities in fear of harassment. 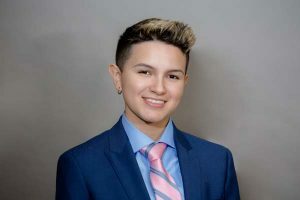 Her work in the community is too numerous to list, but without reservation, Isa is student leader who deserves to be recognized for her intersectional LGBTQ organizing that is bringing awareness and connecting people of color struggles, LGBTQ issues, and immigration in the region. 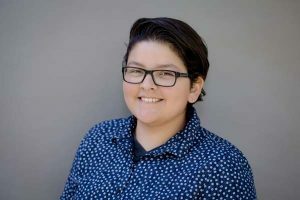 Vincent has been a leader in the queer community for several years, participating in the GSA at both SLV and Delta High, in addition to holding a leadership role in Subjects to Change, a youth program at the Museum of Art and History. Vincent is openly trans and works to support other trans and queer youth in the community. They are a gifted poet, faithful friend, and someone staff and students alike can count on to follow through when needed. Vincent takes a stand for those in need, always mindful of using their privilege as a white, openly trans person to raise the voices of marginalized students. They have the knowledge of what it means to collaborate and create empowering programs and safe spaces for everyone. Andrea first attended the Watsonville Queer Youth Meet-ups in 2015. 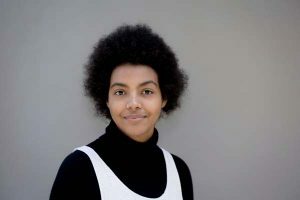 Since then, she has embraced the role of a youth activist and leader, continuously showing her dedication to social justice and the queer youth community. Along with the Diversity Center’s Youth Program Coordinator, Andrea made a presentation at the PVUSD Parent conference where they spoke with monolingual Spanish parents about the importance of accepting their LGBTIQ+ kids. In 2016, Andrea attended the GSA Network’s activist camp, giving her a new knowledge and passion for social justice activism. 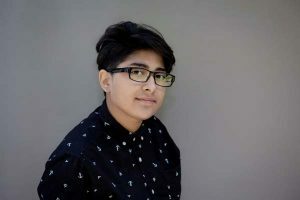 With this knowledge, Andrea became involved in the Watsonville High production of “What’s in a Name” and went on to be a panelist for Triangle Speakers, a Diversity Center Program that works to end the stigma towards the LGBTIQ+ community. Adrian sets the bar for what it means to be a loud and proud member of the queer community. They fearlessly rocks stiletto heels and rainbow flags around campus. Their dedication to applying beautiful makeup and showcasing a glamorous look puts them above and beyond as a representative of the queer community. They have been a star performer at the YES conference drag show for two consecutive years, spending time, money and mental energy perfecting his music, choreography, dress and wig for every performance. 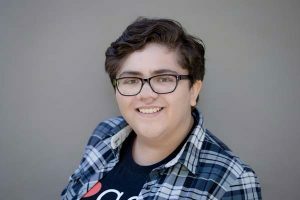 In addition to these show-stopping performances, Adrian is known as the “Publicity Queen” for the Pajaro Valley High Gay Straight Alliance, approaching students and inviting them to meetings. It’s this kind of outstanding behavior that makes them a model of pride. Cham is an outstanding leader in the queer community through their dedication to the QSA at Delta Charter School and their leadership role in the Subjects to Change program at the MAH. This year, Cham attended the Creating Change Conference where they learned about intersectionality within the queer community. Cham is passionate about bringing what they learned from Creating Change back to the larger Santa Cruz Community, and are currently working with Delta School counseling staff to create a peer mental health counseling program. Through Subjects to Change, Cham has helped create a teen-focused zine working to maintain safe spaces for folks with mental health disabilities. Their ability to push creative boundaries as a change-maker gives them a unique gift as a leader in the queer community. 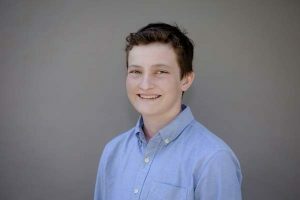 Finn is currently a 9th grader at Pacific Collegiate School and copresident of the Gay Straight Alliance. He joined the GSA in 7th grade and chose to step up this year to ensure lasting leadership once their senior co-president graduates. Modeling strength and courage, Finn made the decision to transition from Fauve to Finn this year, coming out to his friends and family. 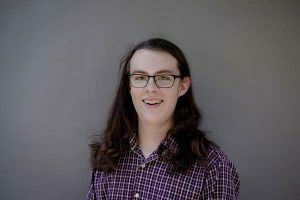 Additionally, Finn sent a thoughtful email to his teachers about the transition, a pioneering step that other PCS students have since emulated. 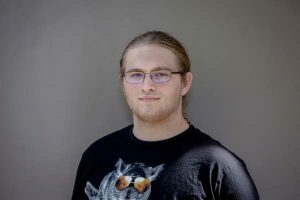 Finn has shown leadership beyond PCS, acting as a Triangle Speaker through the Diversity Center and attending their various events and support groups. Finn is a role model and ally, not only at his school, but in our greater community. 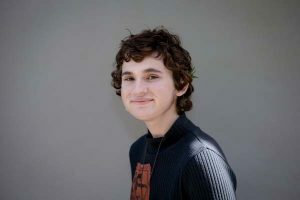 Griffin is a kind, compassionate and dedicated student at Santa Cruz High and President of the Rainbow Alliance. This is their third semester as Rainbow Alliance President, mastering the leadership skills required to run a club. They consistently maintain the clubs 18 member participation, organize club activities and fundraisers, and for the first time in years, helped design a club T-shirt in collaboration with another member. They created and participated in a queer student panel for their peers in health class, answering questions in a professional and researched manner when addressing their peers curiosity. They’re currently working on a second workshop called Queer Vocabulary 101. And it must be mentioned, that they’ve done all this work while taking a rigorous class load and maintaining a 3.6 GPA. Jazz is a leader and advocate striving to promote well-being in their community. With three years of experience working with the Friday Night Live program, a partnership for positive and healthy youth development, Jazz has stepped up as a role model for their peers and younger youth. They are passionate about community mobilizing, addressing issues affecting the community such as substance use and shifting social norms. Currently, Jazz is working to promote a positive social norms campaign at Watsonville High School designed to help young people make decisions around substances and school traditions like prom and graduation. They take initiative to organize and design projects that are engaging and make a difference, all while being kind, empathetic, creative, and supportive of both their youth and adult partners. Lupe is an active participant and motivator within Pajaro Valley High School’s Gay Straight Alliance. They’re an active and enthusiastic participant in group discussions, often generating creative ideas for campaigns. 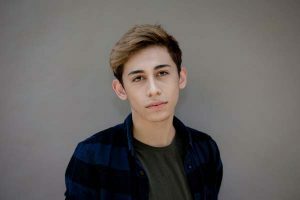 They frequently acts as a liaison for open communication between the GSA and other queer youth meet ups, working to build bridges between PVHS students and other members of the community. They have volunteered to be a GSA news anchor, reading the Rainbow News for the PVHS weekly broadcast. They exemplify bravery and poise as a representative of the LGBTQ+ community, putting their face to queer news and reading it with unyielding pride and flair. They are full of bravery and heart, a treasure and leader at PVHS and in the greater queer community. Priscilla is a dedicated and irreplaceable member of Pajaro Valley High School’s Gay Straight Alliance. She is only in her second year at PVHS, but has already made meaningful contributions with her outgoing personality and thoughtful conversation starters. She has volunteered to publicly read the GSA announcements on the PVHS weekly news broadcast, showing bravery, courage and self-confidence as a representative of the GSA. She has participated in all club events and meetings, consistently shining a light on specific issues that need attention. She comes to all activities and meetings with ideas for discussion along with a sharp intellect and humorous attitude. She is a friend to all and shows promise and potential as a social change maker for LGBTQ equality on campus and around the world.